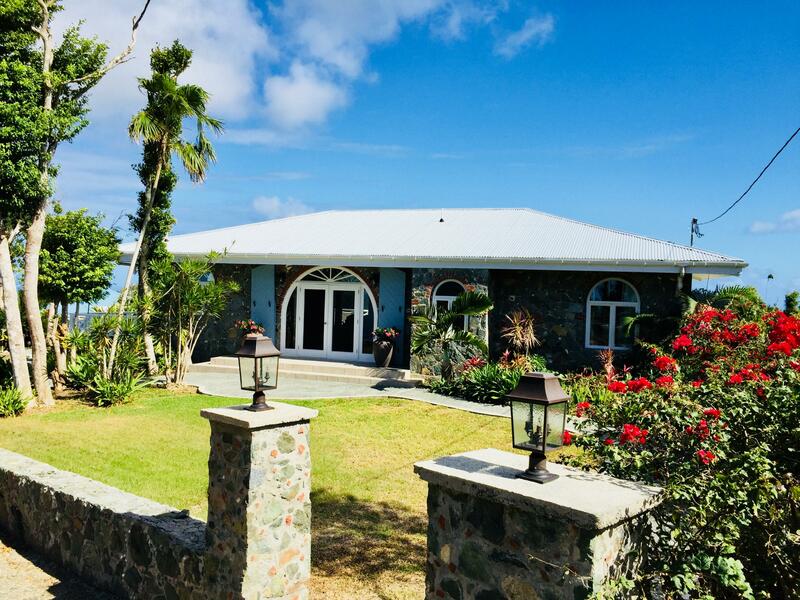 ”Rhapsody St John” – Priced to sell – this beautiful waterfront property is just finishing up a complete refresh with new paint, linens, refinished doors & windows, etc. 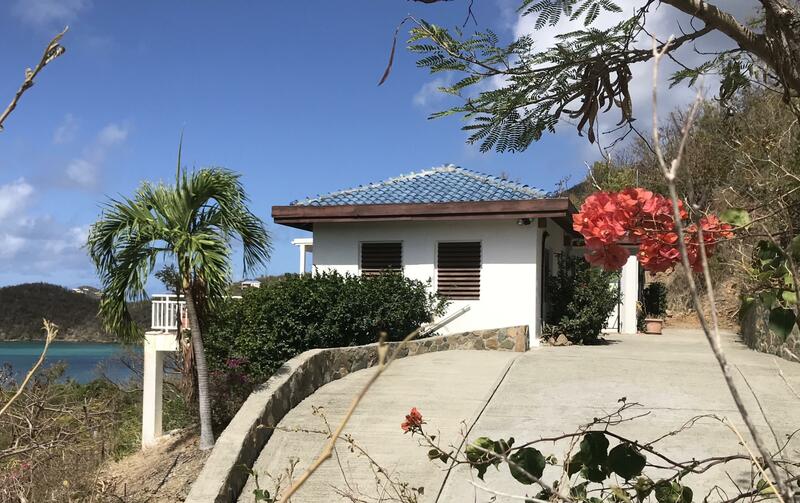 A new addition is a brand new whole house 30KW diesel generator with a 300 gallon tank. 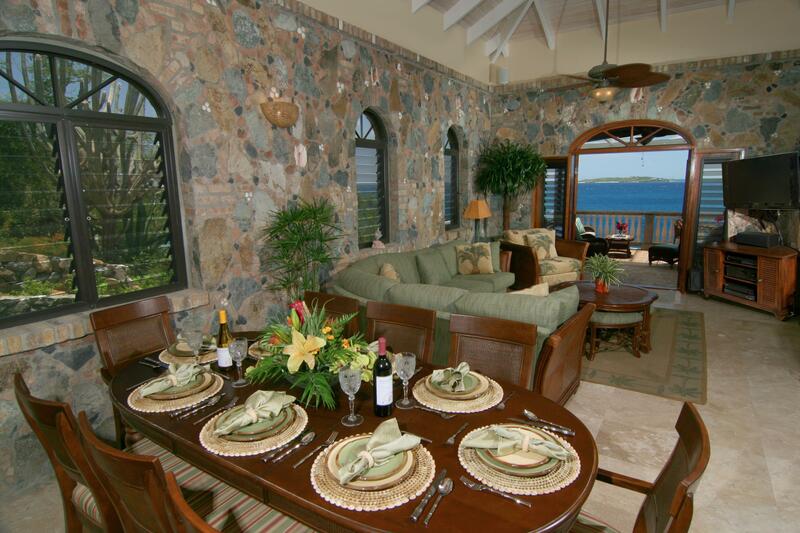 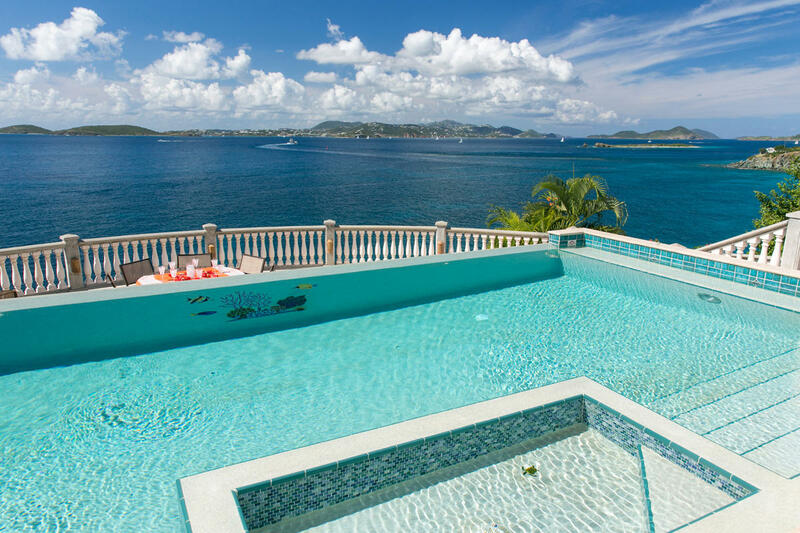 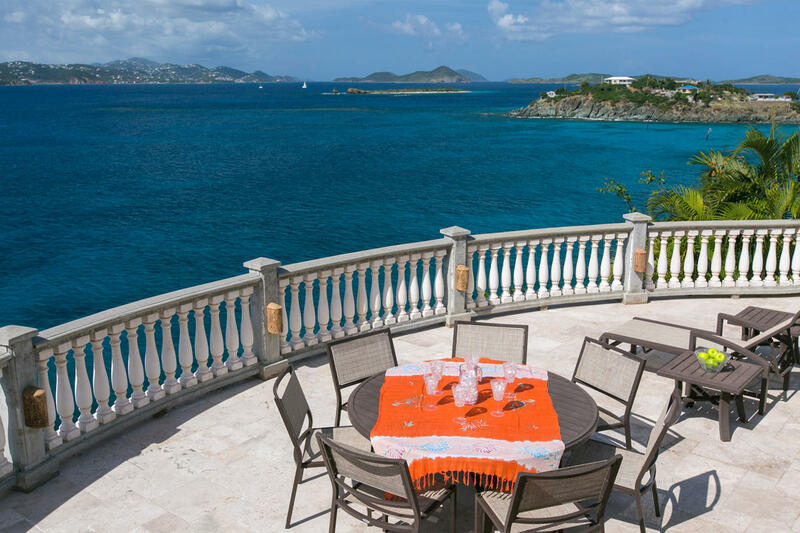 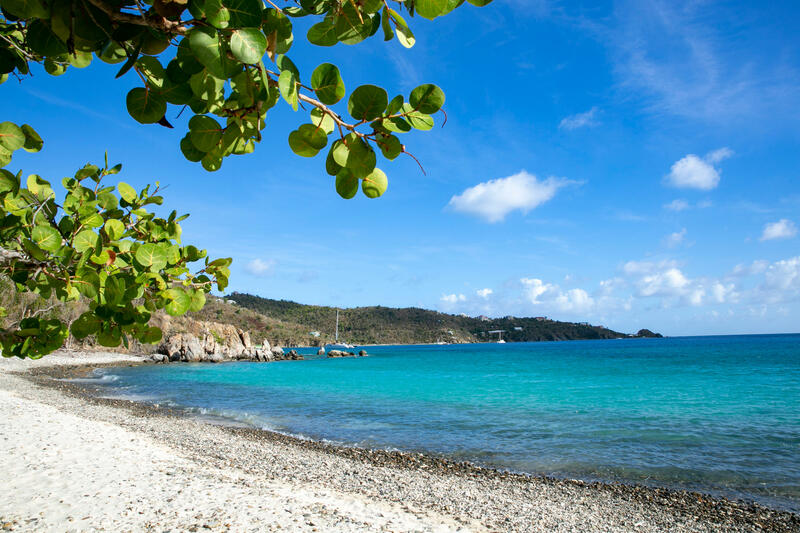 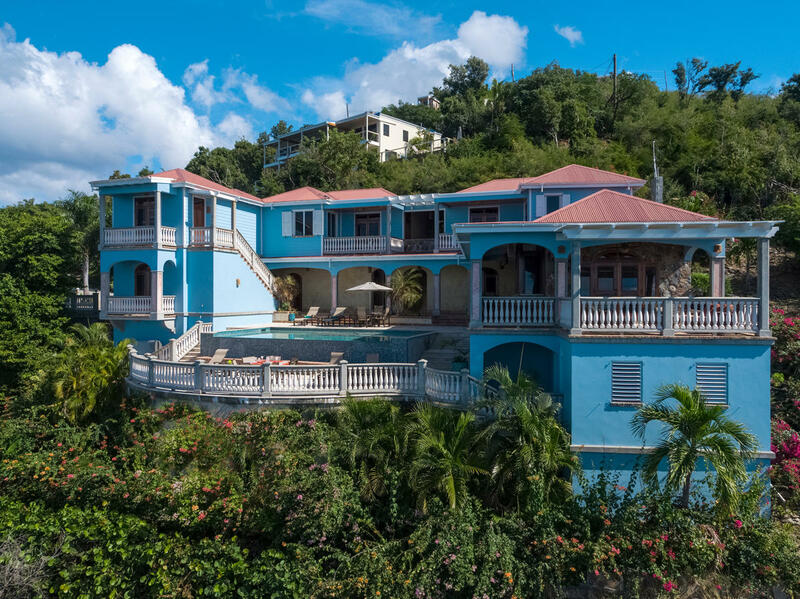 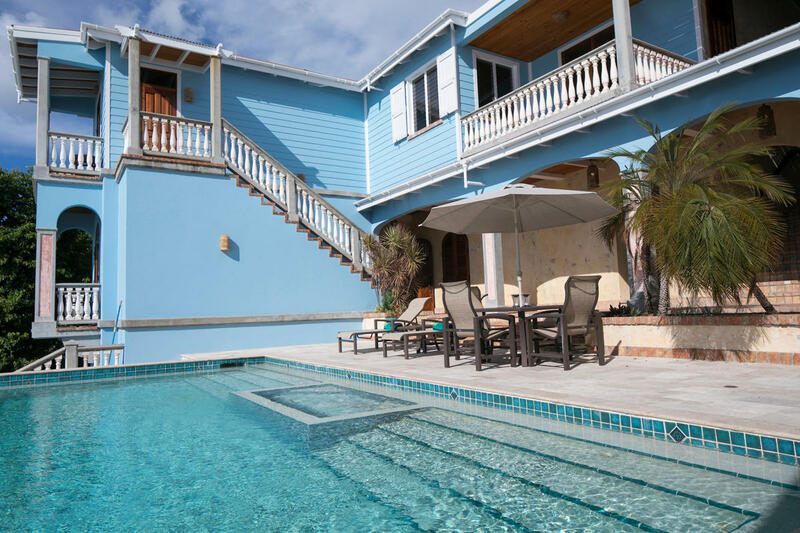 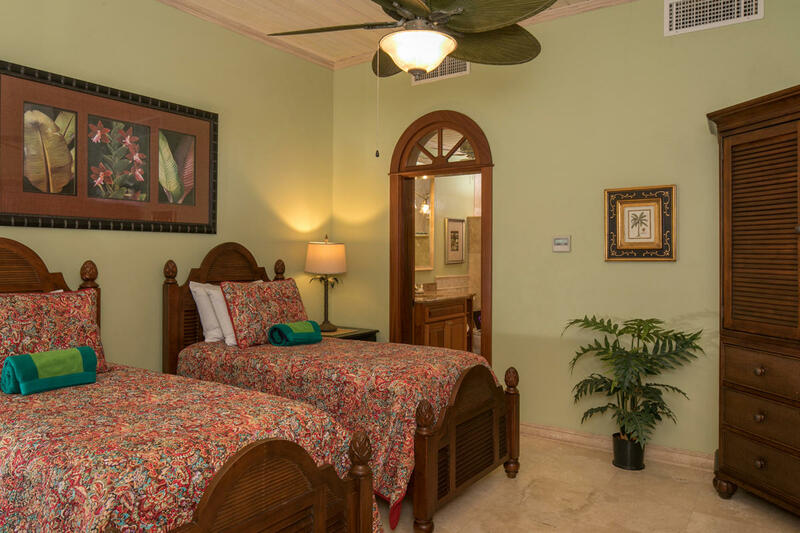 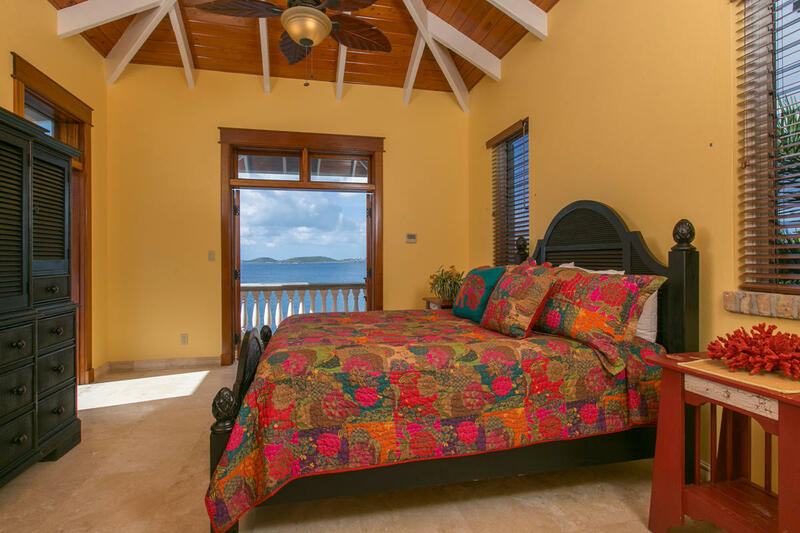 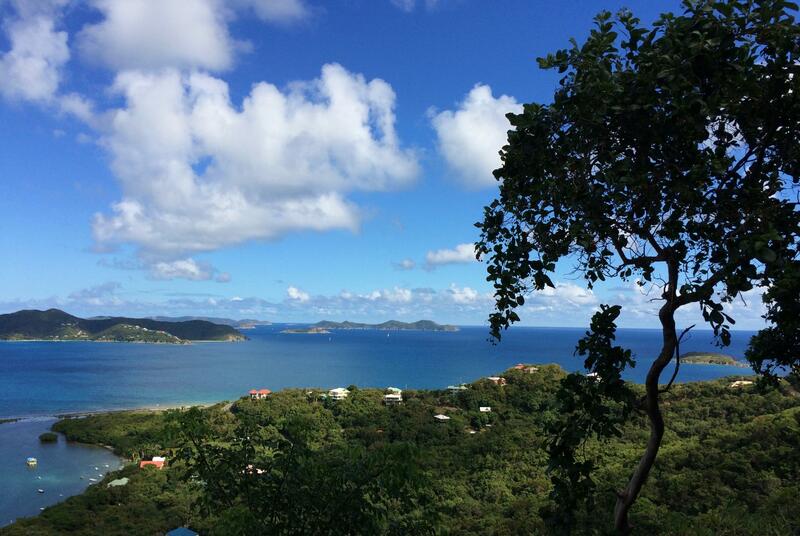 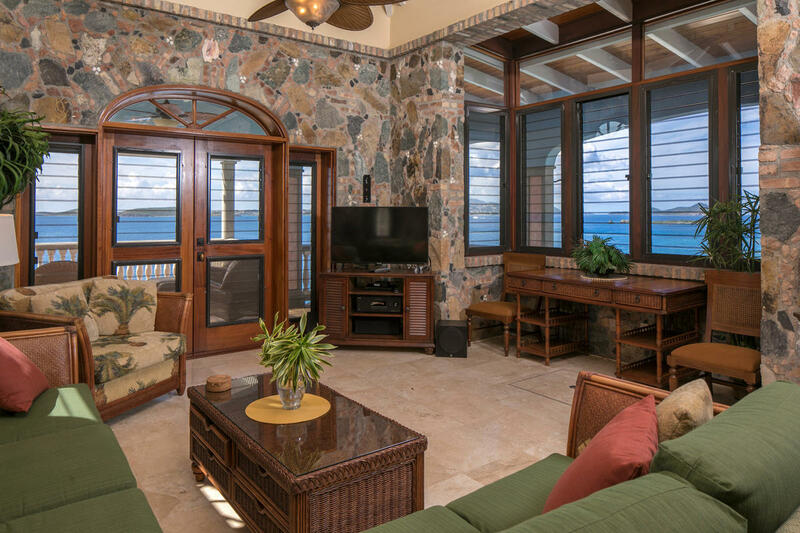 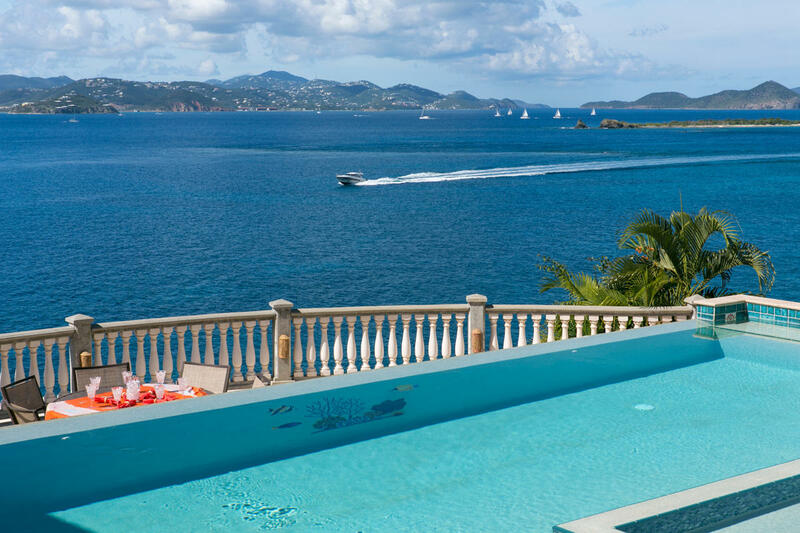 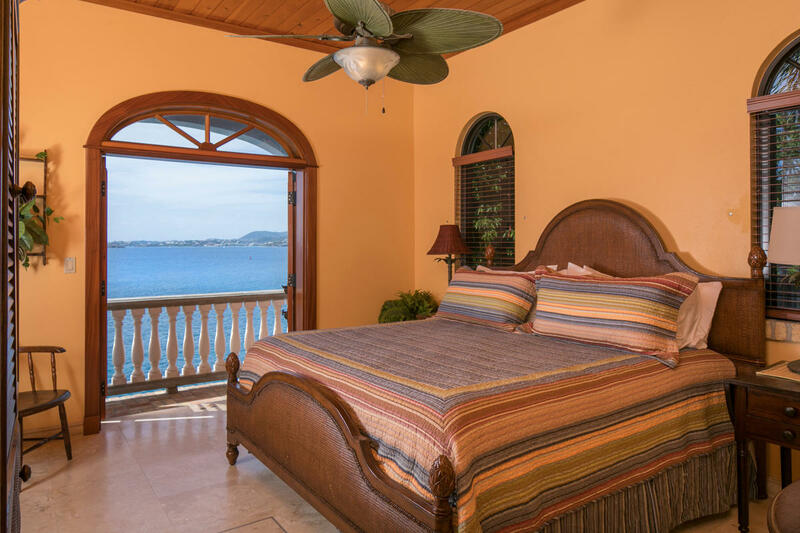 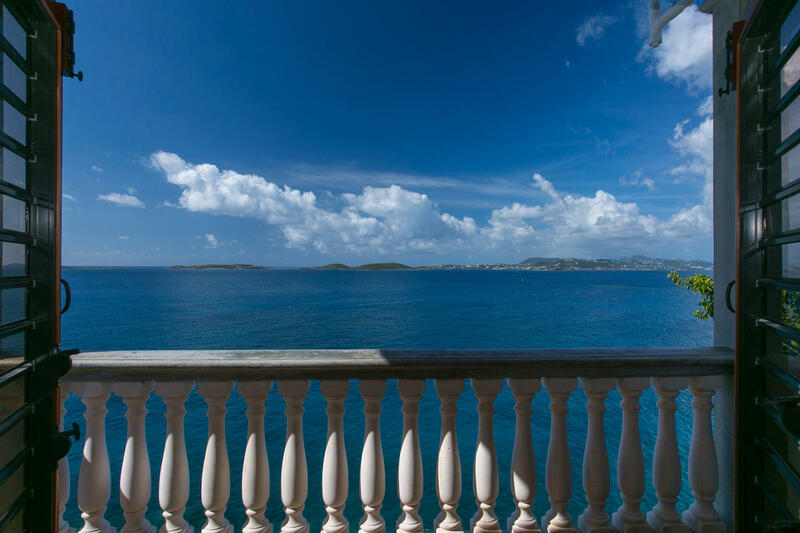 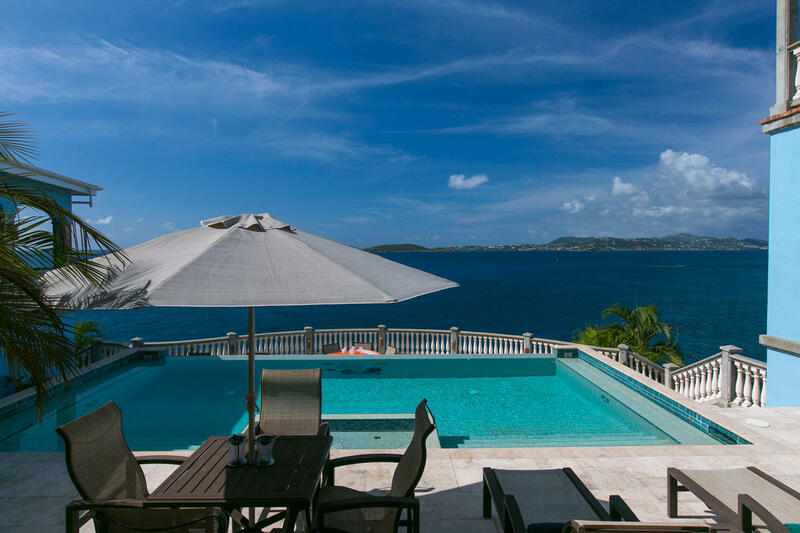 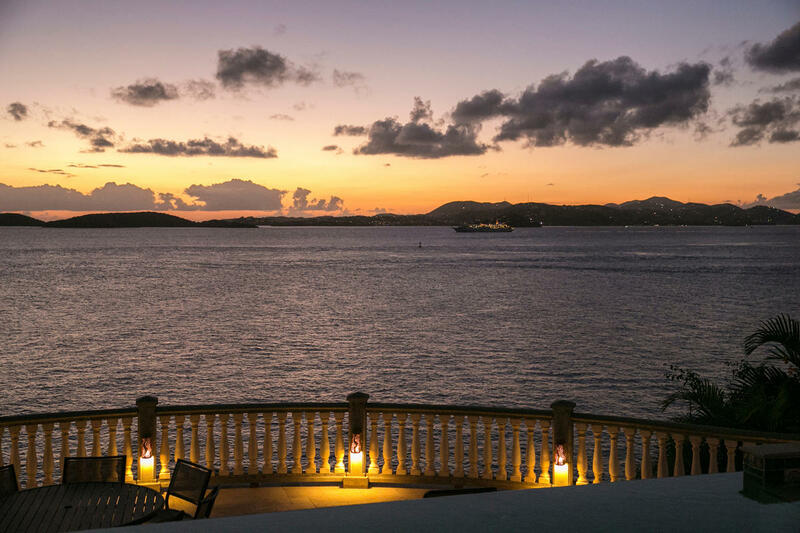 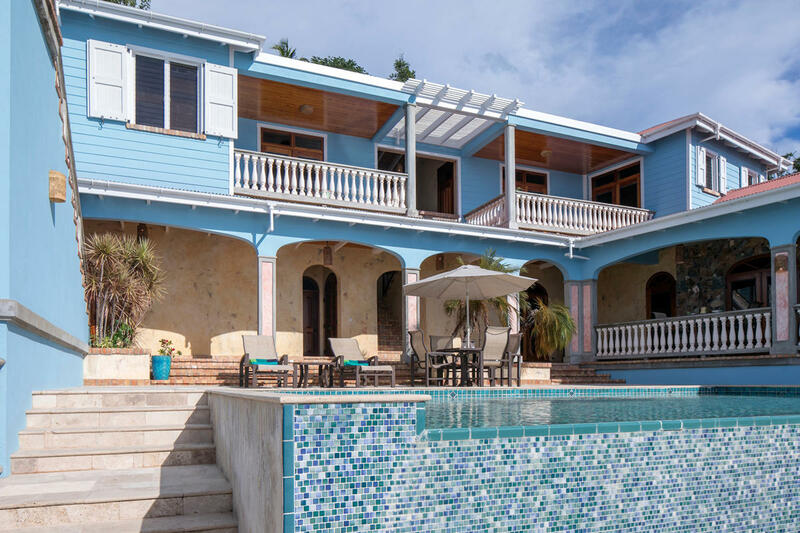 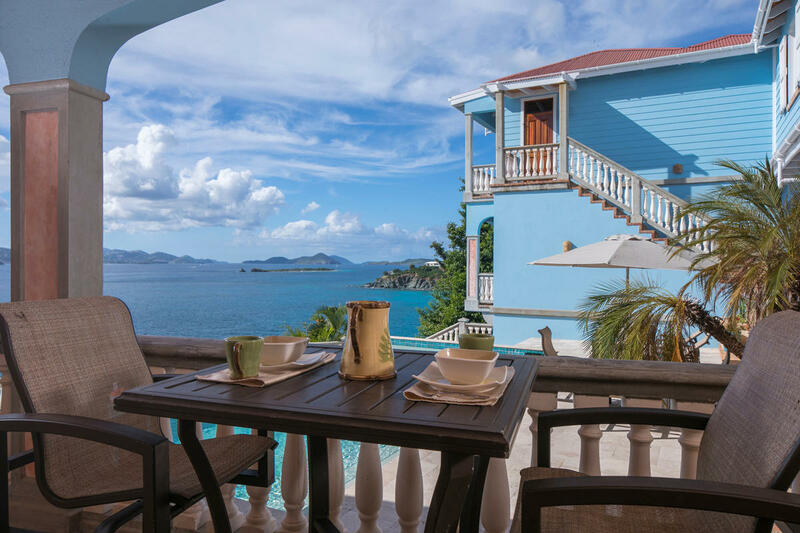 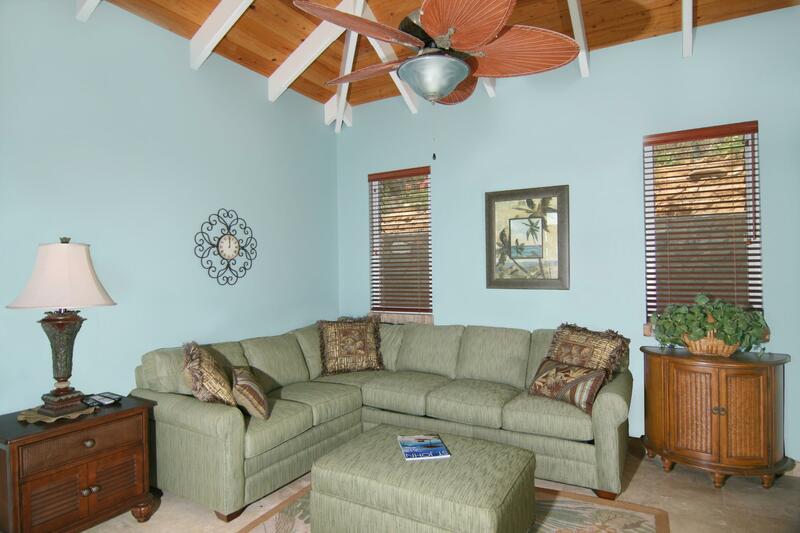 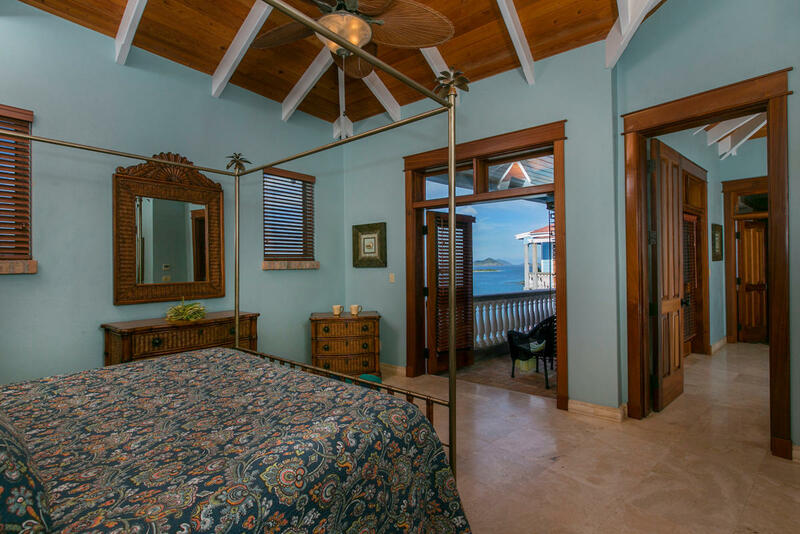 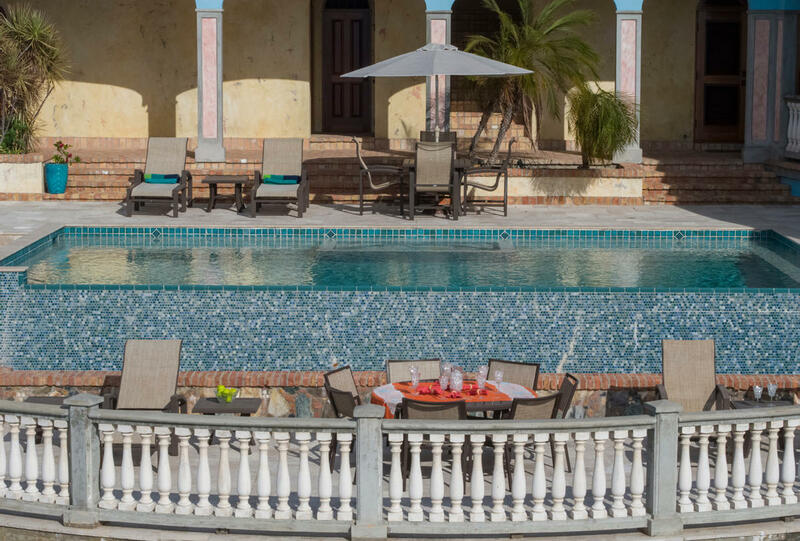 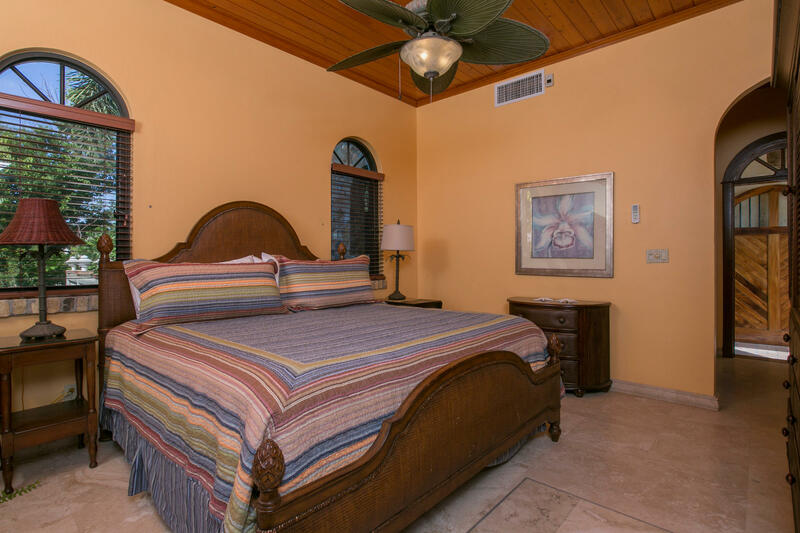 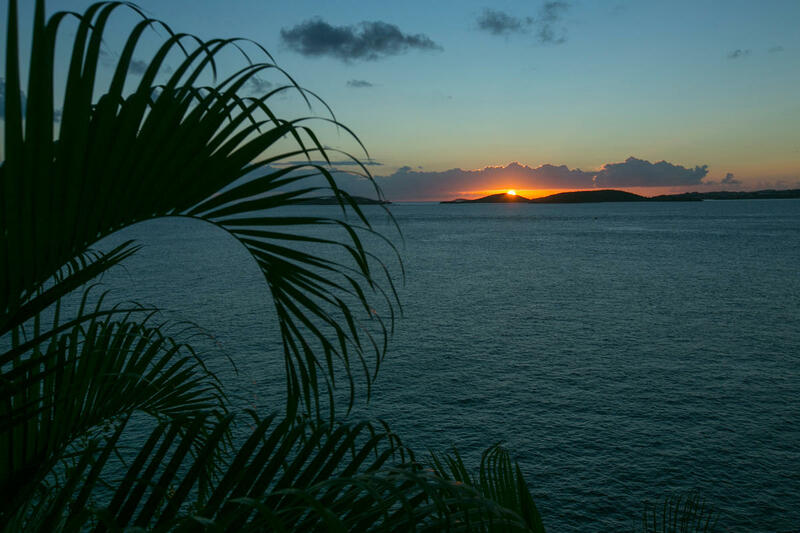 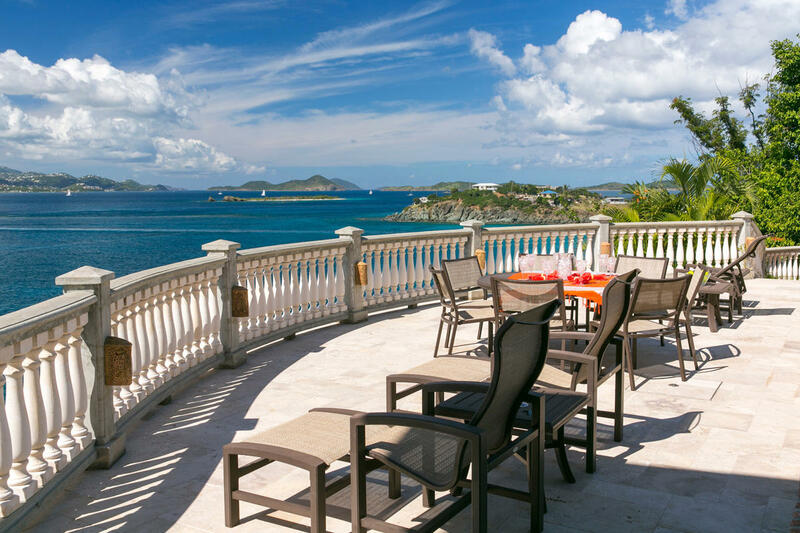 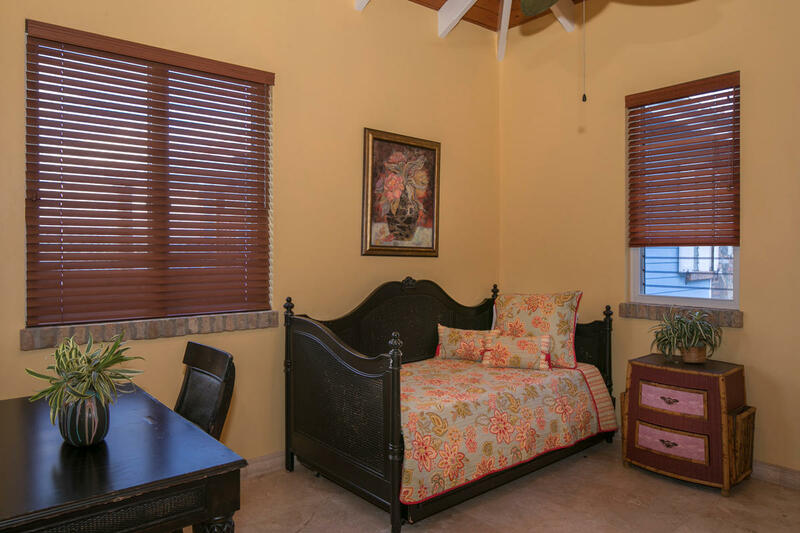 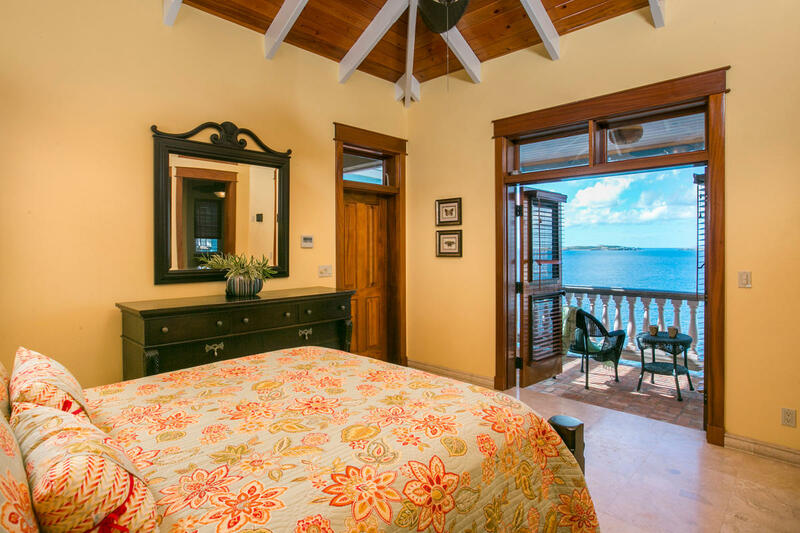 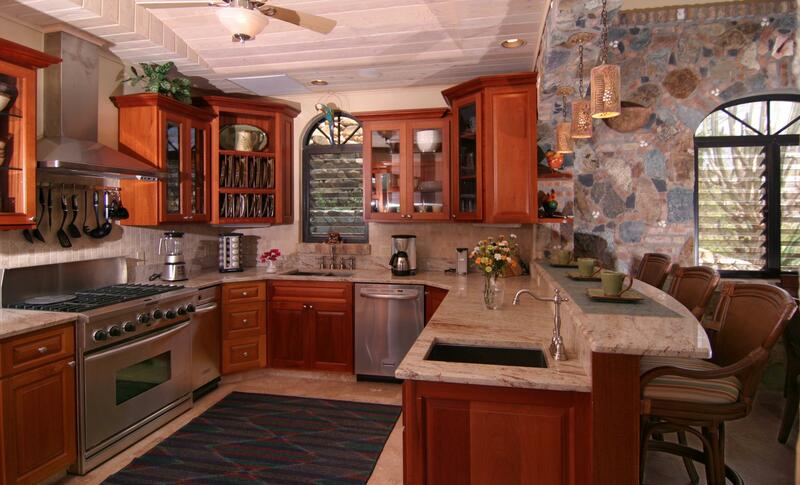 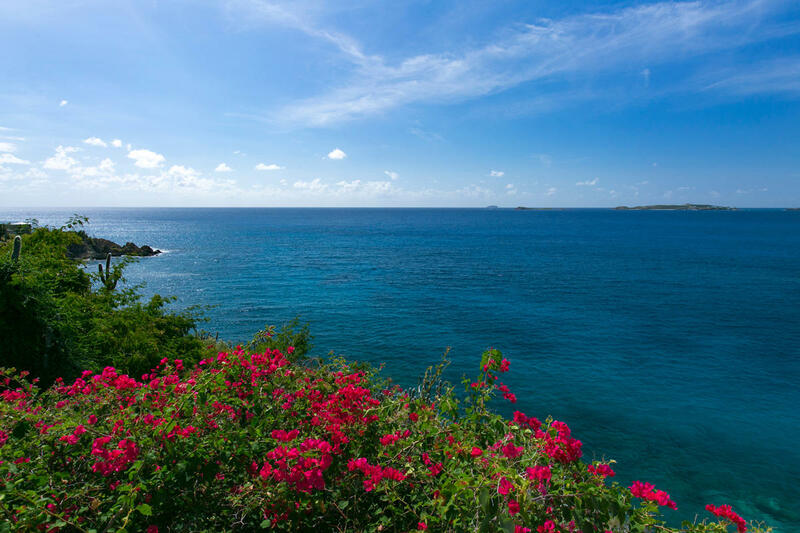 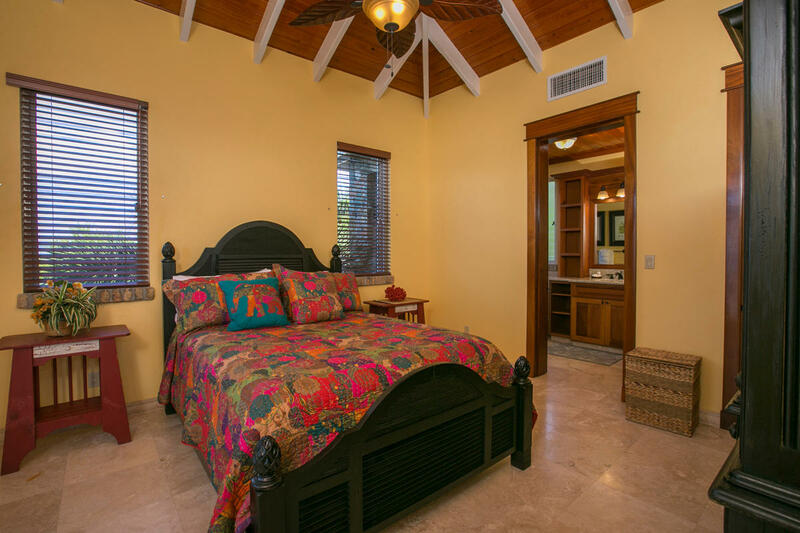 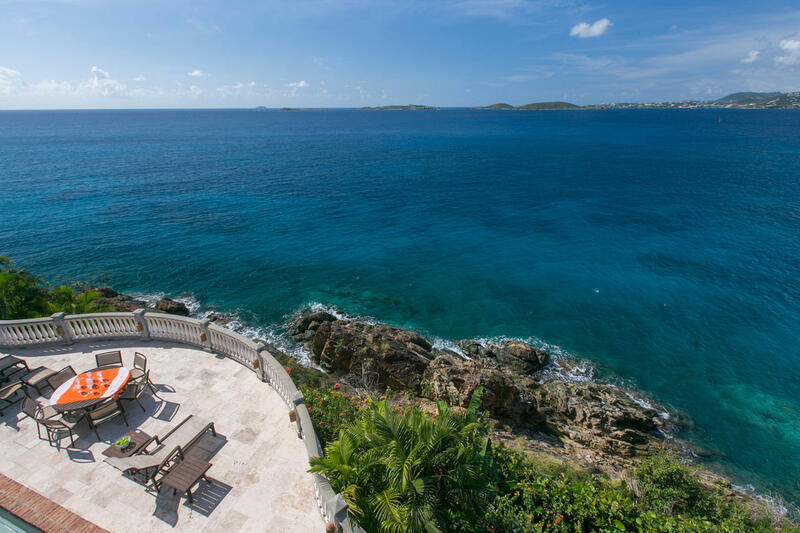 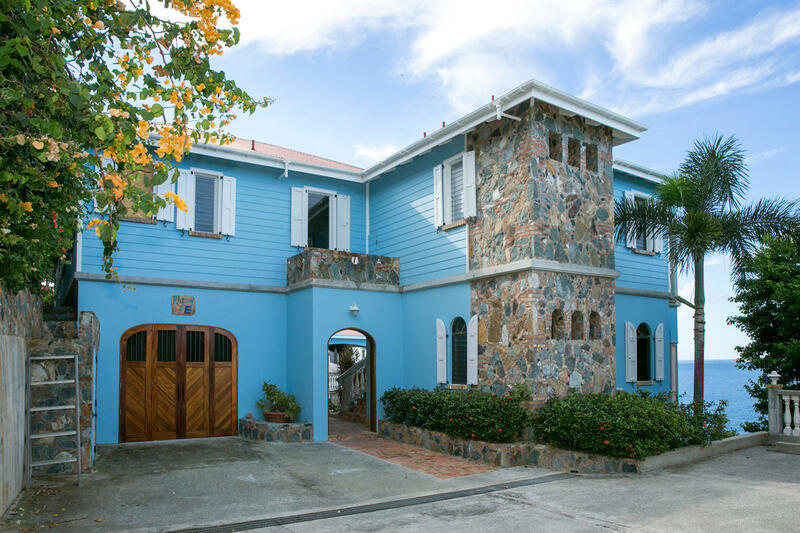 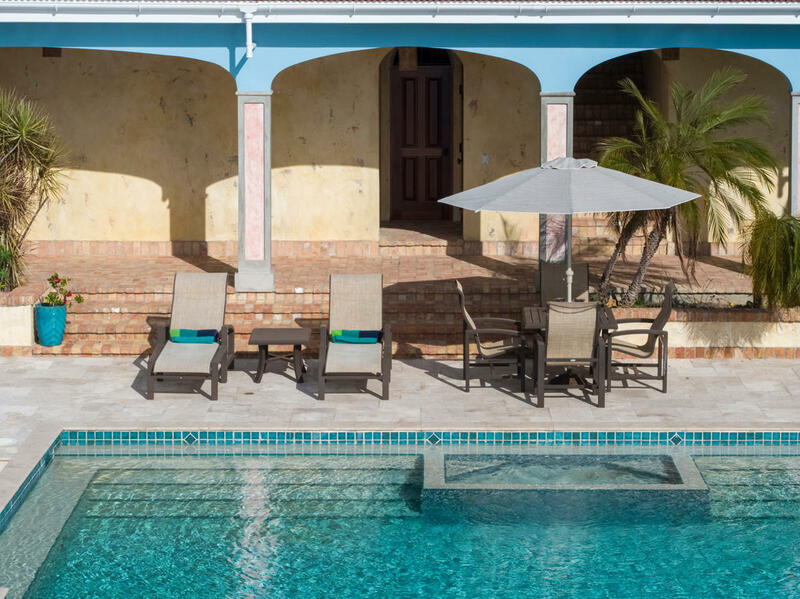 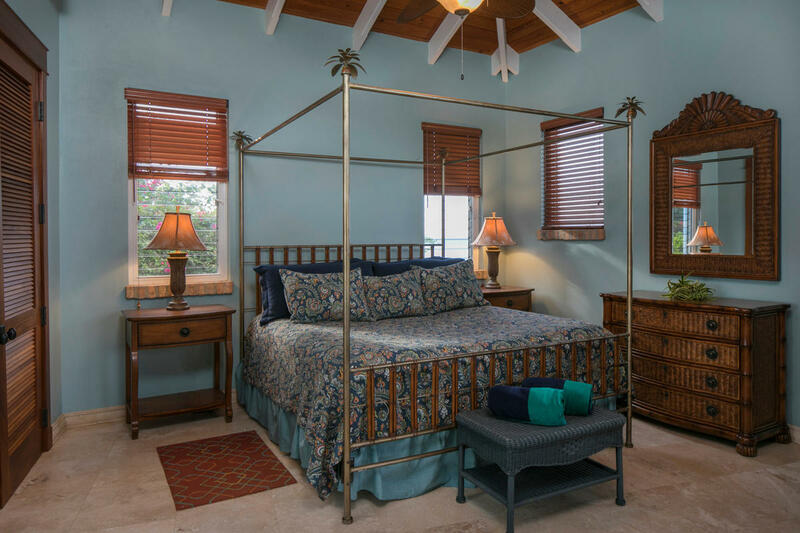 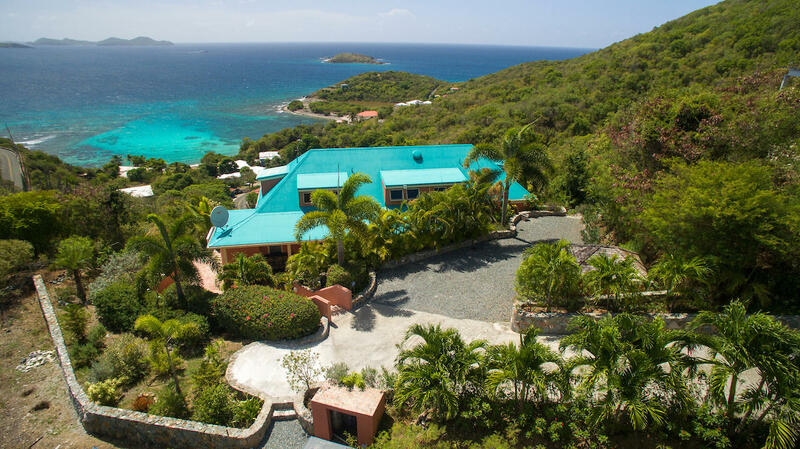 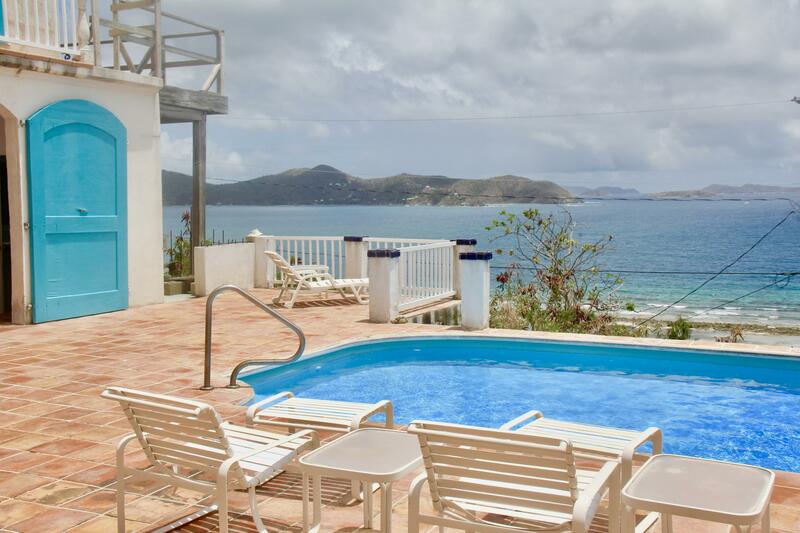 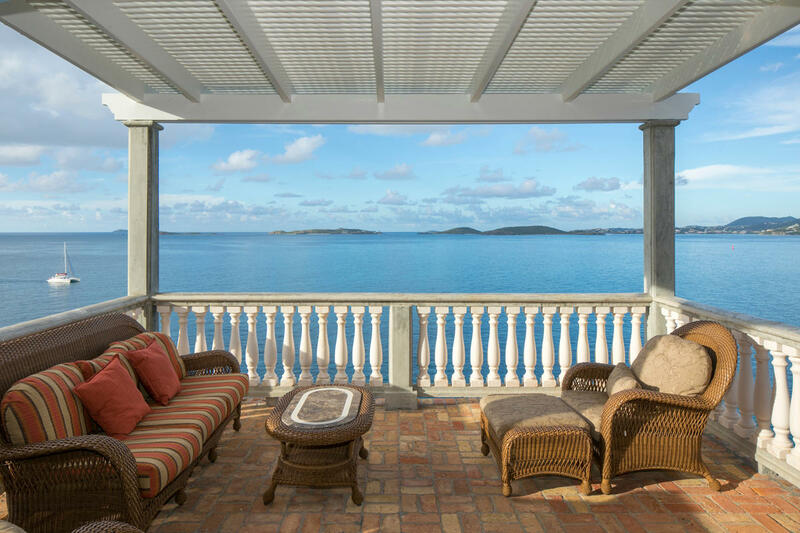 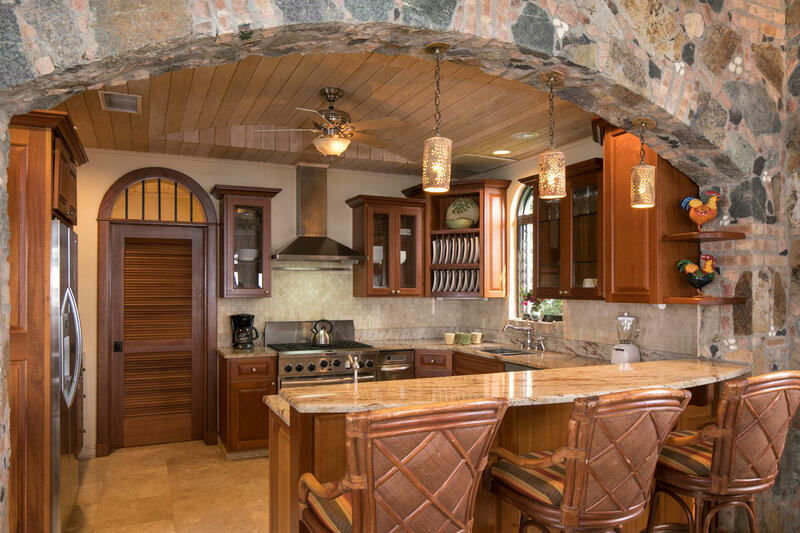 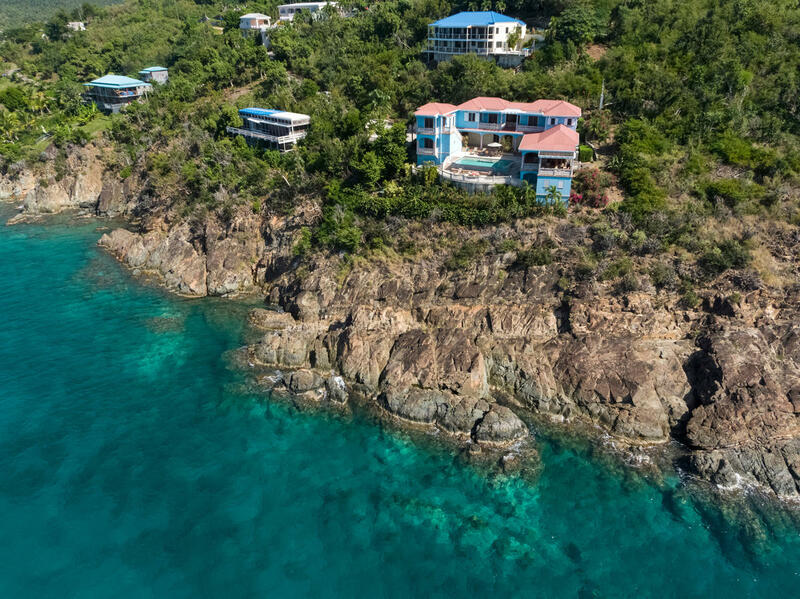 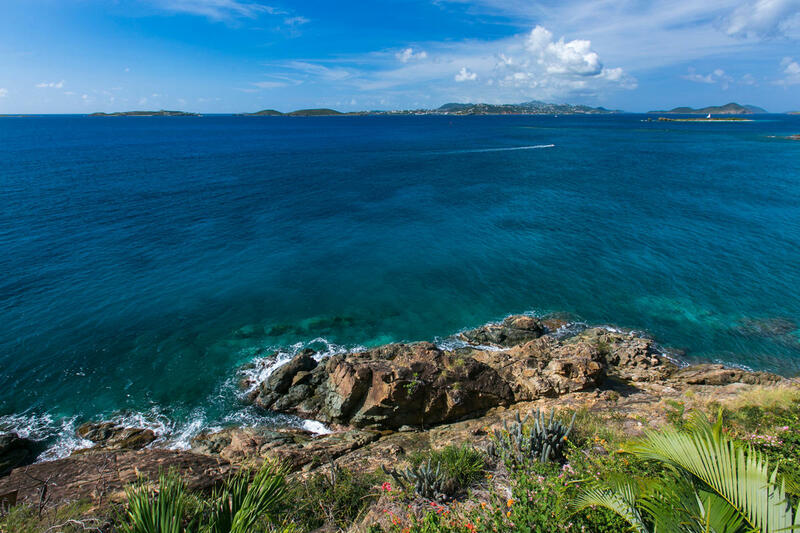 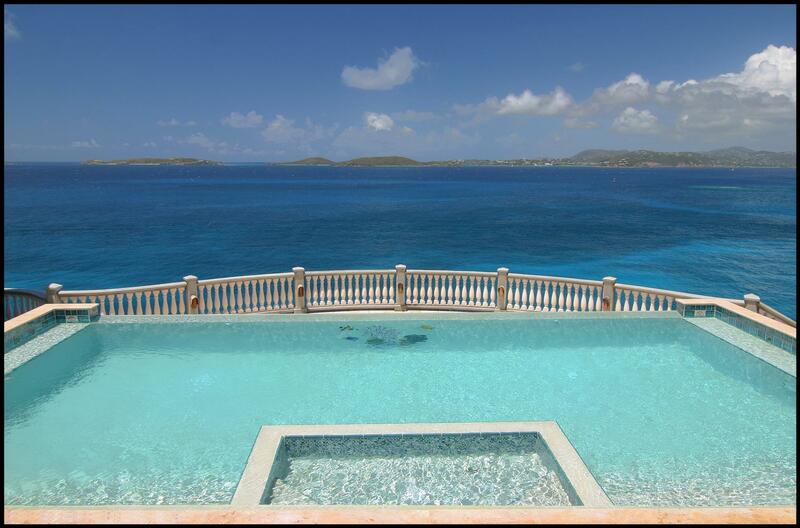 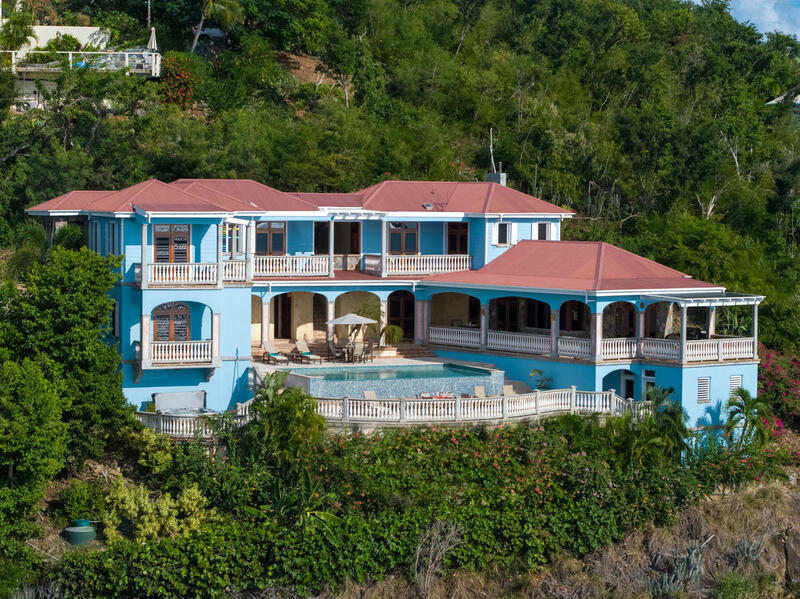 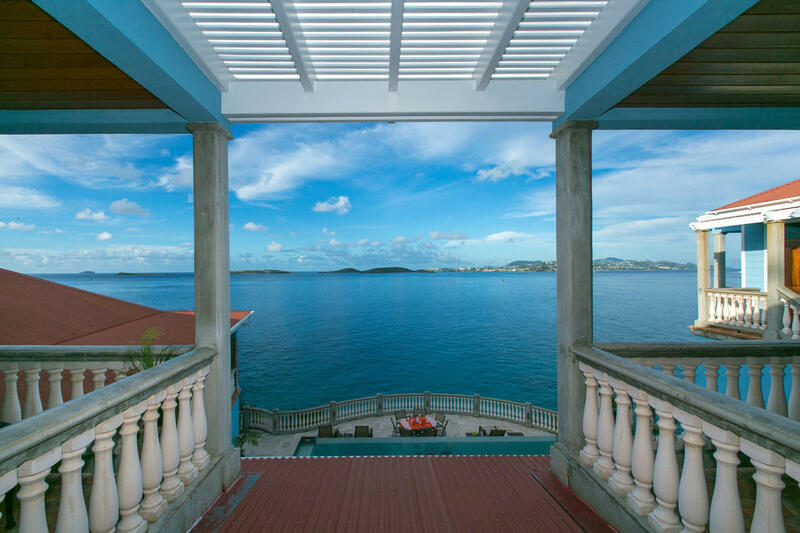 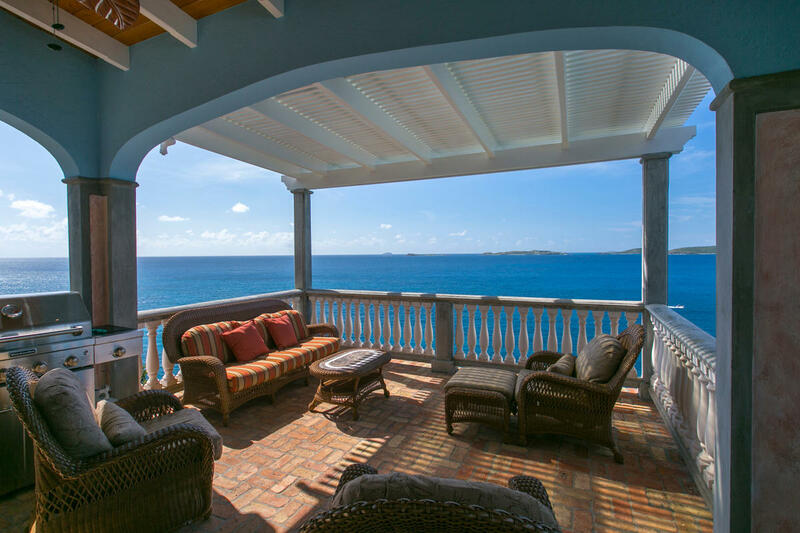 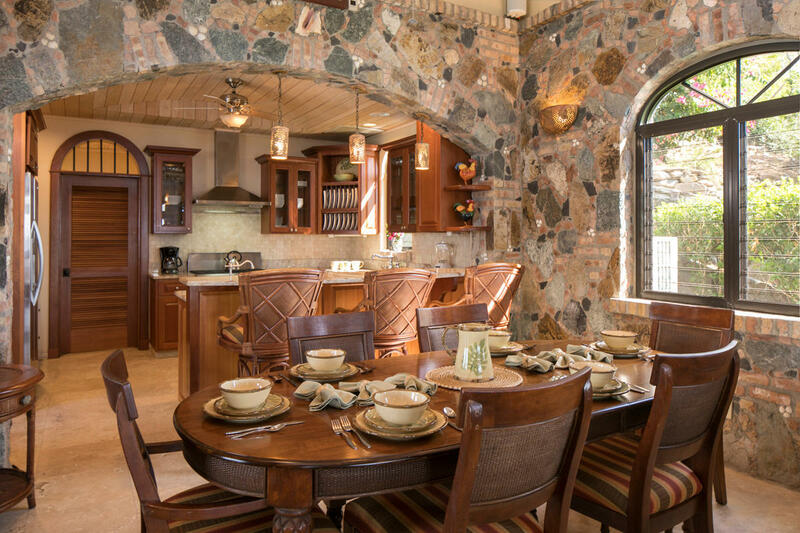 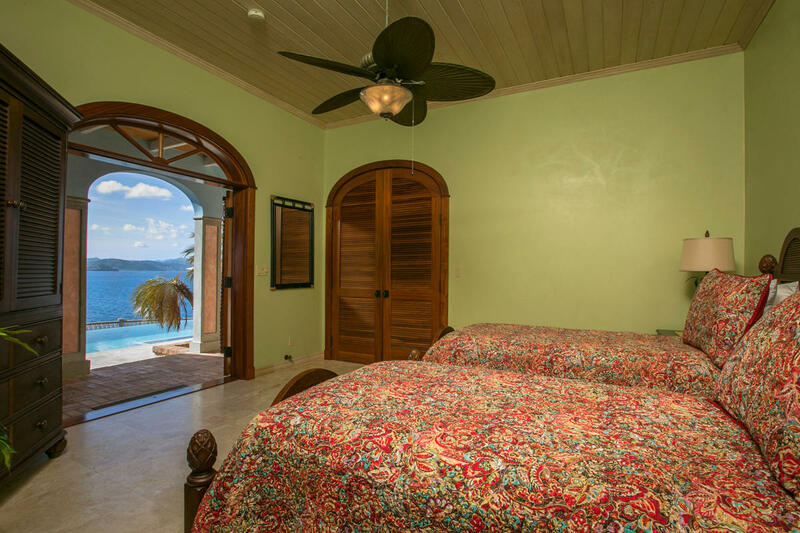 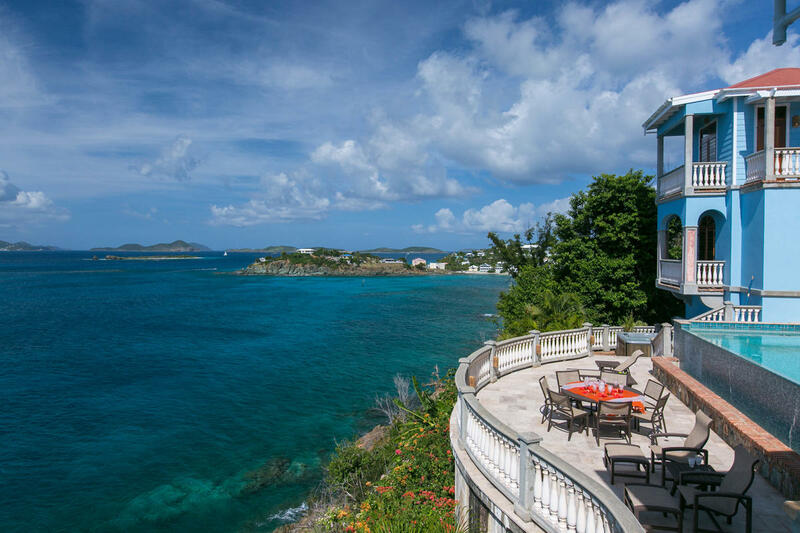 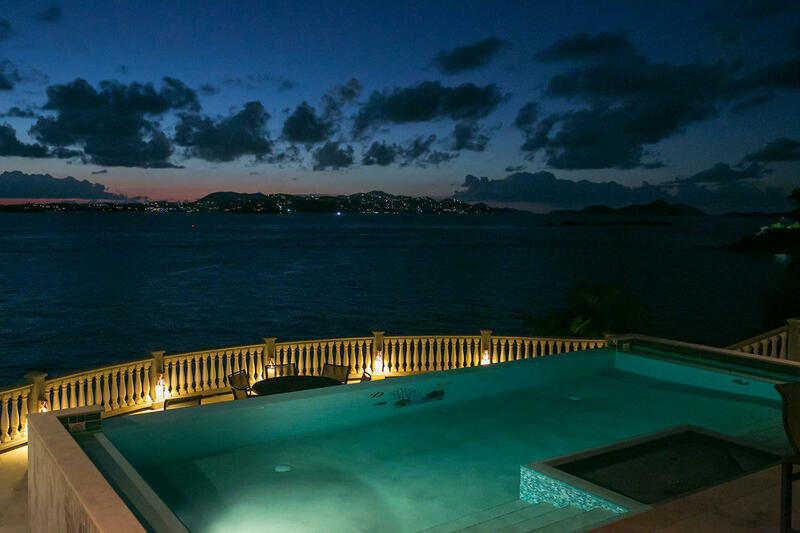 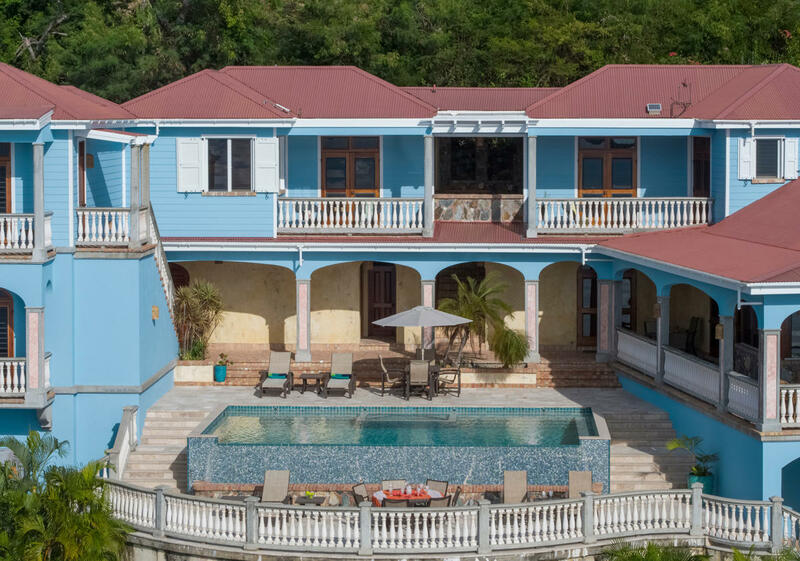 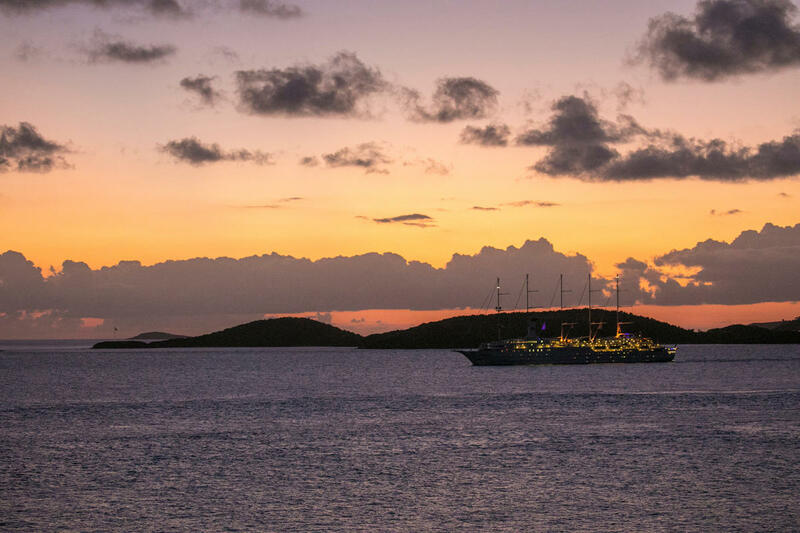 One of the most impressive short term rentals on St. John! 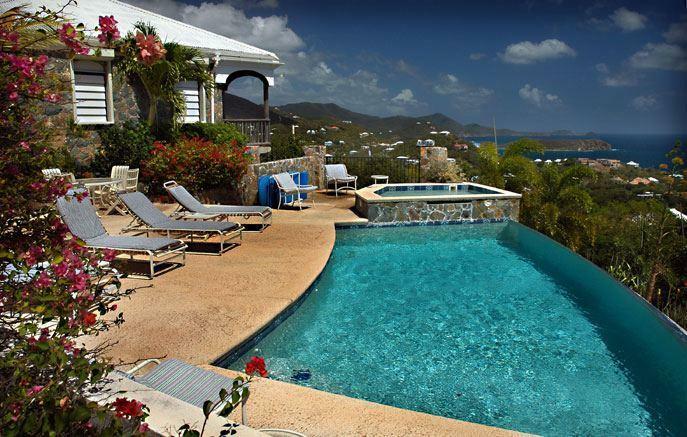 Rhapsody is truly a very special Caribbean estate on a 1/2 acre waterfront lot with a 16’x32′ spectacular infinity pool & immense pool deck at great room level.Features include stone & masonry construction, granite counter tops, stainless appliances, 2 full laundries, garage, lg.paved parking area, 6 flat screen TVs,ipod docking station, wireless internet & outdoor speaker system. 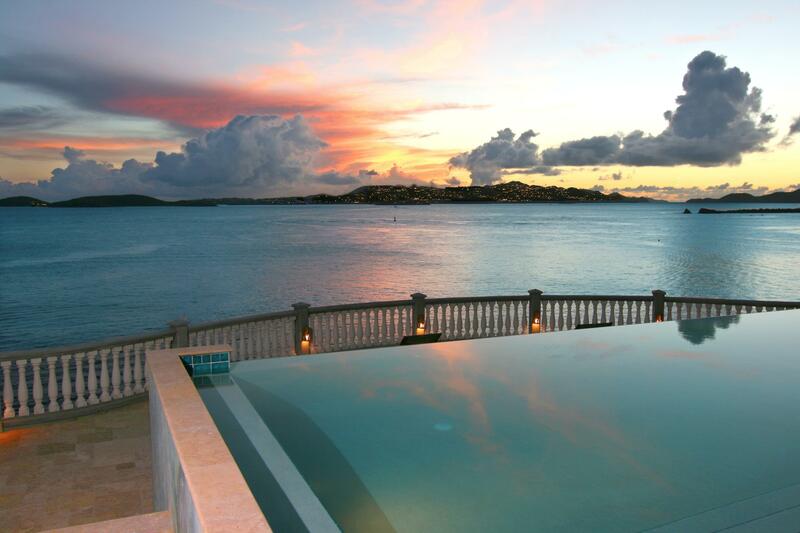 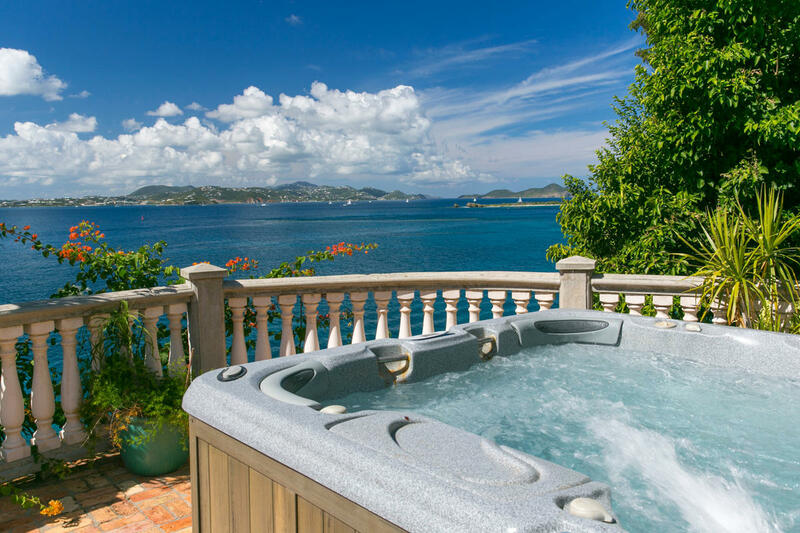 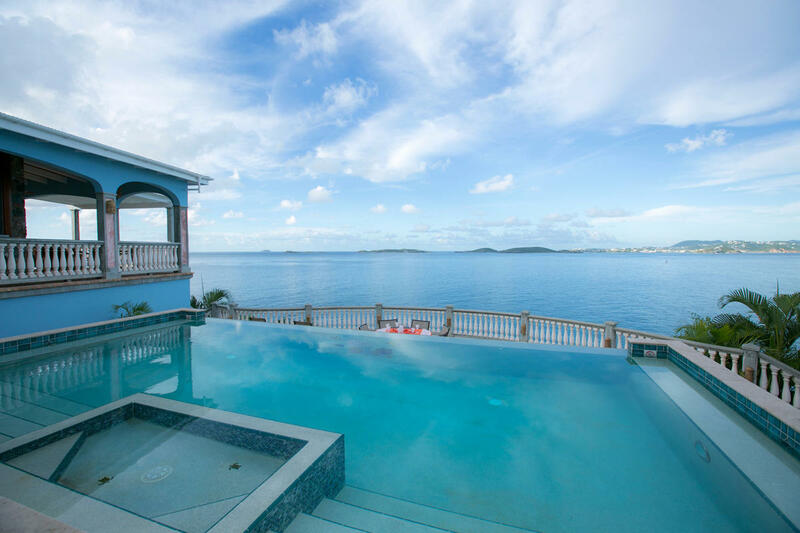 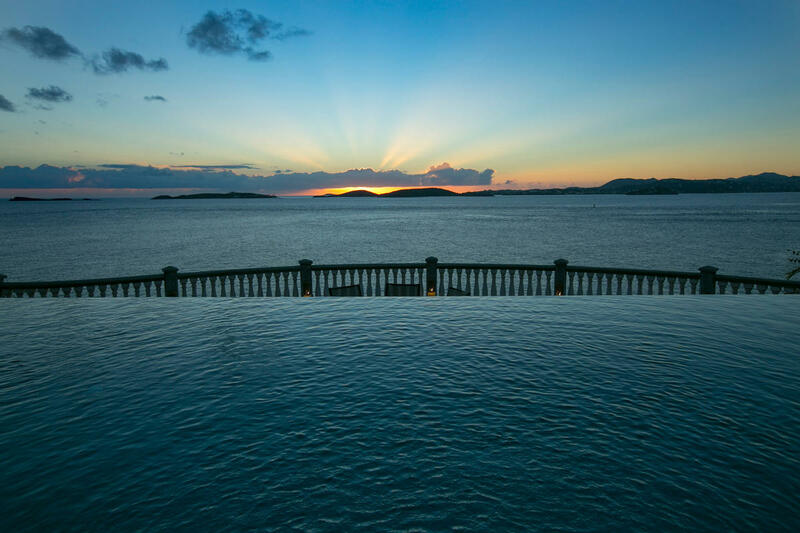 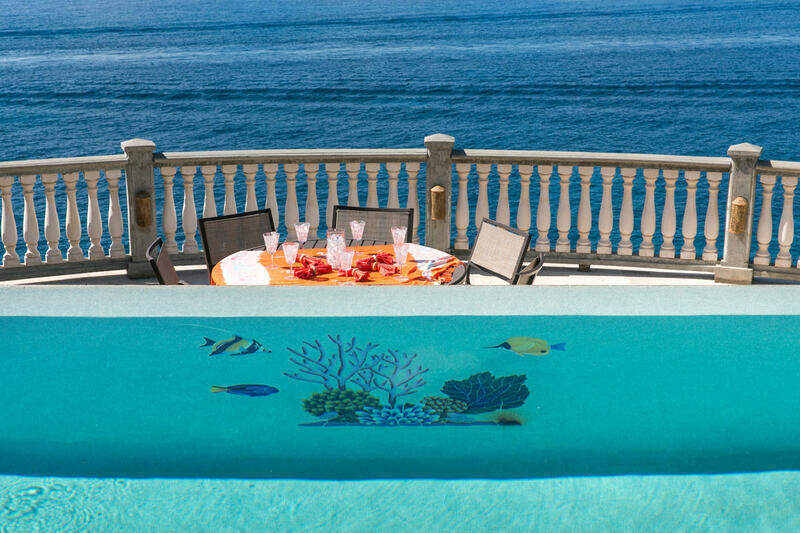 A hot tub for four is just 50′ from the azure Caribbean waters. 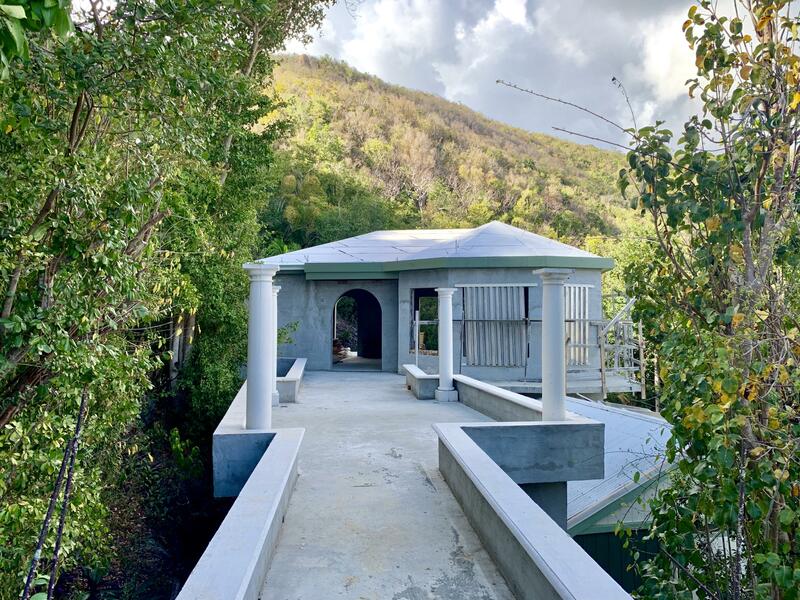 Directions : South Shore Rd, turn south at basketball court, drive to top of hill and turn south on Waterklip drive.Last house at end of road.